Based on the latest data from Indonesia’s Investment Coordinating Board (BKPM), total direct investment (foreign direct investment + domestic direct investment) in Indonesia was rather subdued in the second quarter of 2018, rising by a modest 3.1 percent year-on-year (y/y) to IDR 173.6 trillion (approx. USD $13.1 billion, using the IDR 13,400 per US dollar exchange rate that was set in the 2018 State Budget). 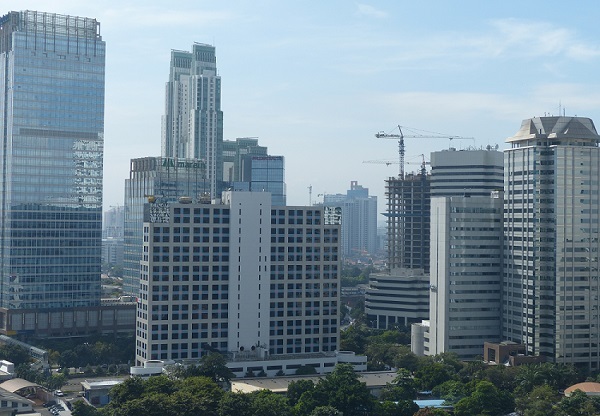 As a consequence, Indonesia only achieved 47.3 percent of its full-year 2018 investment realization target in the first half of 2018, thus chances are rather big that the full-year target will not be achieved. It would be the first time Southeast Asia’s largest economy misses its investment realization target in many years. Even more worrisome is that foreign direct investment (FDI) contracted – for the first time in eight years – by 12.9 percent (y/y) to IDR 95.7 trillion (approx. USD $7.1 billion) in Q2-2018 (the BKPM’s direct investment data excludes investment in Indonesia’s oil & gas and financial services industries). It is assumed that investors – and particularly foreign investors – are in a wait & see mode ahead of the 2019 presidential and legislative elections (scheduled for April 2019). Indonesia is a young democracy (therefore not as stable as the long-standing democracies) in which various forces seek power, including hardline Muslims, nationalists, and individuals who are part of the country’s old (and notoriously corrupt) elite.